Papyrus Time | Papyrus Watch - Exposing the overuse of the Papyrus font. Ok, here we have a bit of a tragedy. This animated Flash-clock is seriously pretty amazing, you should check it out for the transitions. But of course, the developer had to choose Papyrus. 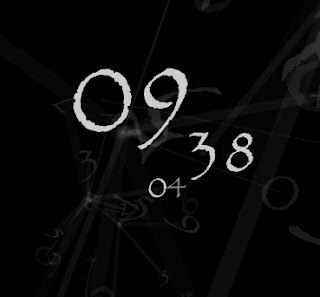 I think the shape of Papyrus' numbers are suiting, which may be why it was picked? Anyway, I think Georgia would look pretty damn hot. You?